NEW PROJECT. 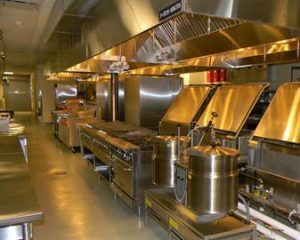 is a member company in International Group of Companies which boasts 20 years of experience in supply and installation of commercial kitchen equipment and equipment for supermarkets. Highly professional and competent management with rich experience in this area of activity. Professional maintenance center that carries out installation, repair and maintenance for our equipment. Established reputation with the local market. Full range of equipment from most reputable European manufacturers. Dedicated commitment to the end product we provide and full support of our clients. NEW PROJECT CO. offers integrated solutions for professional kitchens that cover the layout design, selection of the equipment, its supply, commissioning and after-sales maintenance. Our range of equipment consists of leading world brands and includes thousands of items from cooking and food processing equipment to stainless steel tables, bakery and refrigeration equipment.